Associations and Not-for-Profits are different. The need to keep multiple stakeholders engaged. Limited resources. And a (partly) volunteer workforce. Social Media seems like a great solution, so you are likely already using it. Your organization has a web site, may have a blog, and maybe even a Twitter account. But is all of this giving you exposure? Has it really helped your efforts in advocacy? Has it resulted in an influx of new members… or new fundraising? And how are you doing in your search engine rankings? Social Media is either a complete waste of time — or the most important plank of your marketing and PR strategy. 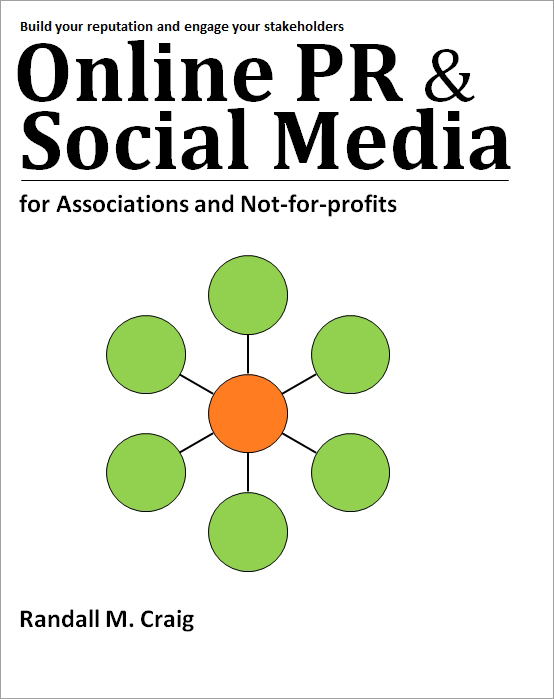 This book is designed specifically for Associations and Not-for-profits seeking to build their reputation, engage their stakeholders, and do so efficiently. It describes a specific strategy, then provides step-by-step instructions to implement it. More at www.onlineprsocialmedia.com.